All transactions are safe and secure with a reliable history in online purchasing behind each of our associates. 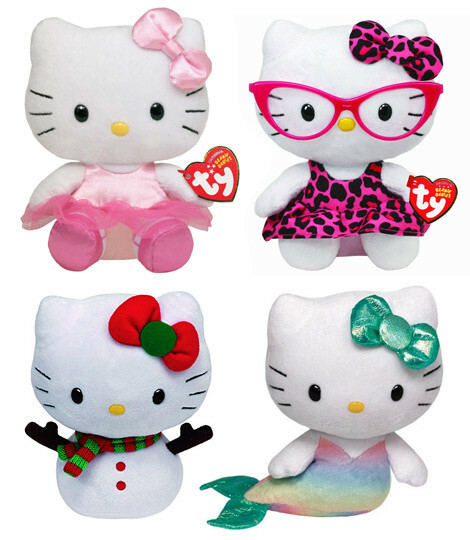 Buy the Hello Kitty Plush Dolls and Stuffed Animals to own Hello Kitty clothing and merchandise. Here's your chance to bring home these unique Sanrio plush characters, including the frog Keroppi, Chococat and of course the star of the show herself, Miss Hello Kitty. The plush dolls feature the cool cat in various themed clothing, including a witch's outfit, a bunny costume, a watermelon dress, a nurse's uniform, a dracula get up and a punk rocker outfit to name a few. You'll also find other Hello Kitty toys and merchandise, including backpacks, games and PVC collectible figures. In addition to the Hello Kitty Plush Dolls and Stuffed Animals above, browse the Hello Kitty Clothing Gallery for more apparel like men's and women's clothes, kids shirts or hoodies.